October 2017. Share Annual Awards 2017 coming up soon. Parents/carers' survey. Dental care workshop. Student focus: Mary. Pre-order your Christmas wreaths. 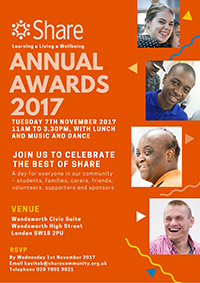 Not long to go to Share's Annual Awards Ceremony, so if you haven't signed up yet, register online for the event, or email marcomms@sharecommunity.org.uk or telephone 020 7801 9821 to book your place. The event takes place on Tuesday 7th November 2017, from 11am to 3.30pm, when we'll be coming together with our friends and supporters to celebrate the best of Share with our students and their friends and families. We are delighted that the Mayor of Wandsworth, Cllr Leslie McDonnell, and our local MP for Battersea, Marsha de Cordova, will be attending this year's event along with Share's Patron, actress Patricia Hodge. 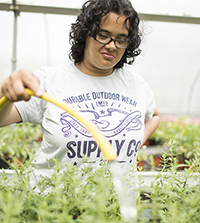 A key part of Share's work is to involve parents and carers more in our work to ensure our students continue to develop the skills they learn at Share at home and in the community. 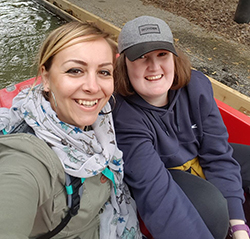 As part of our commitment to always improve what we do at Share and how we do it, we've been asking parents and carers of students who attend Share about our services and how well they suit the needs of the person they support. 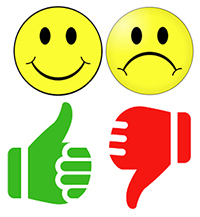 So it has been encouraging to see that the results of our 2017 parents/carers' survey show that most people who participated in the survey are happy with our services and approach to providing the best possible learning experience and personal development opportunities for our students. Don't forget we hold regular meetings for parents and carers to share their views, challenges and ideas with us. The next meeting is on 22nd November 2017 at Share HQ, from 11am to 12.30pm. To book your place, contact Annie via email anniem@sharecommunity.org.uk or telephone 020 7801 9817. We're working hard at Share to raise health awareness among our students to support them to know when and where to get help should they need to. As part of this work, we are partnering with local health and wellbeing services to provide information for our students. This month, we'd like you to meet Mary. 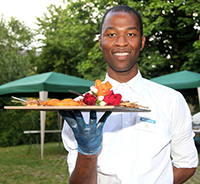 Mary's been studying catering at Share, and during her time with us she has been gaining nationally recognised qualifications in catering and getting experience working in our social enterprise, Share Catering. She's also been travelling far and wide with Share's Go Anywhere, Do Anything programme. 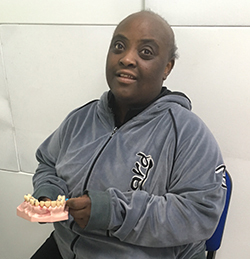 Read Mary's story to find out how she's getting on and what her plans are for the future. 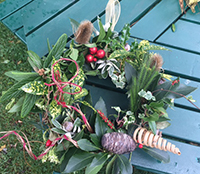 There is still time to order one of Share's beautiful festive wreaths for the Christmas period. We are taking orders for Christmas wreaths for collection from late November through December.